Term 1 was marked by the official opening of our new buildings and facilities. It was a pleasure to host our bishops and local parliamentary State and Federal members, along with School Council members and our foundation School Board Chair, Mr Neil Tucker. But actually, all the fuss is really about our students and their learning. Our new facilities are there to improve the range of learning experiences and opportunities for our students. 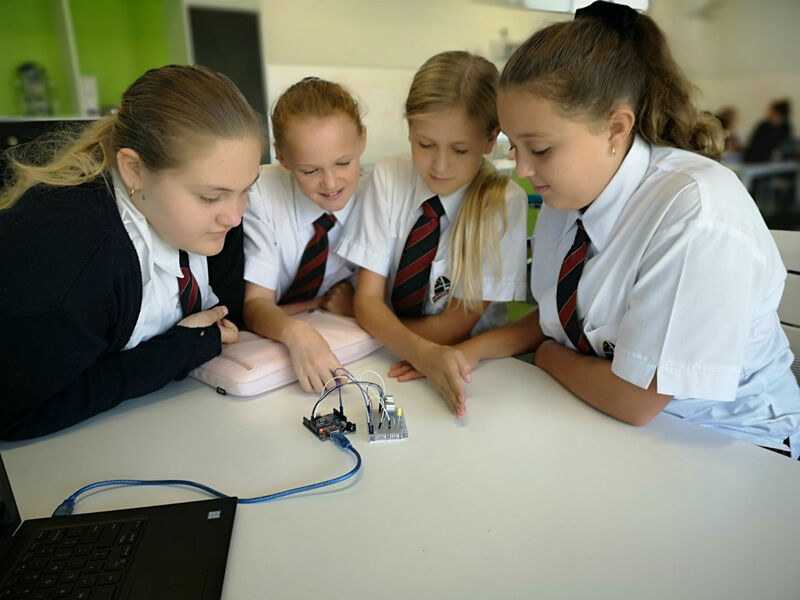 Our STEM centres in both Junior and Senior Schools will increase opportunities for learning coding, robotics, 3D printing and other computer-based applications. This type of learning is very student-centred after the initial teacher-directed instruction on how to program. So it requires logical thinking, collaboration, critical thinking, testing of prototypes by trial and error and ultimately leads to a great sense of satisfaction. Our new Design and Technology workshop is much larger than our old one and contains some new types of equipment. D&T is a great subject for promoting design thinking and problem-solving as students create the products of their own vision. Finally, the new drama studio is a terrific boon to our recently established drama program. After running Drama in Year 11 and 12 for a couple of years, we introduced it into Year 9 this year, so as from next year Drama will be offered from Years 9-12. Our Cognito program of co-curricular activities will be out for the start of Term 2. I encourage all students to have a good look through it to see if there is something that catches their interest – something they would like to do more of or something new to explore. I am looking forward to our Senior School musical, “The Addams Family” that will be performed in June. Many students and staff have been preparing this for some time and it promises to be our best yet. Although it will be performed by Senior School students I encourage our Junior School parents and students to come along too, for both the enjoyment and to see what your children could be involved in when they reach our Senior School. 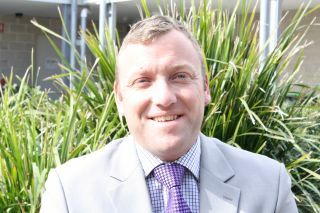 Our Deputy Principal and Head of Senior School, Mr Samways, will be on long service leave for all of Term 2. 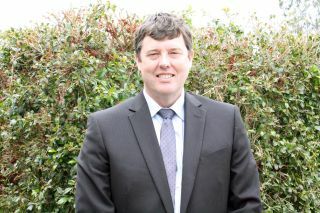 Mr William Wallace will be acting Deputy Principal along with his role of Head of Junior School. Mrs Michelle Smith will be acting Head of Senior School for Term 2 and Mrs Serena Hart will be acting Head of English. Mrs Hobden will be acting Director of Teaching and Learning, as she has been this term in Mrs Smith’s absence. If you have a sibling who is due to commence Kindergarten or Year 7 next year and you have not yet submitted an application, please do so now. Siblings receive priority but we need to know how many places to keep available for them. I thank you for your prompt attention to this. We have arranged a presentation on cyber safety for parents and carers. 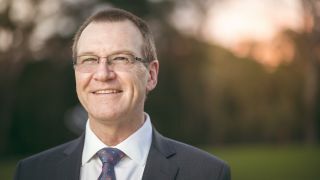 The presentation by the organisation ThinkUKnow (https://www.thinkuknow.org.au) is free of charge and will be presented by a speaker from the Australian Federal Police and a speaker from an IT company called Datacom. The presentation will cover what young people SEE online, what they SAY online and what they DO online. The presentation covers topics such as social media reputation management, cyberbullying, ‘sexting’, online grooming, online gaming, inappropriate content, privacy management, identity theft, how to protect your devices, and how to report matters when things go wrong. It is designed to bridge the knowledge gap between adults and young people so that everyone has an understanding of the roles they play and what they can do if something goes wrong online. Whether your children are in Kindergarten or Year 12, this will be of interest and help to you. Thank you to Mr Nathan Wenger for introducing us to this organisation. Please note: this presentation is not suitable for children because of the nature of the material discussed. My best wishes for your family for the school holidays and Easter. I quote the paragraphs below, as a Easter reflection, from the book, The Day the Revolution Began by N.T. Wright, p.7. It has been an excellent start to 2019, welcoming both familiar and new students and families and especially to have a new group of Kindergarten children and their families joining us. 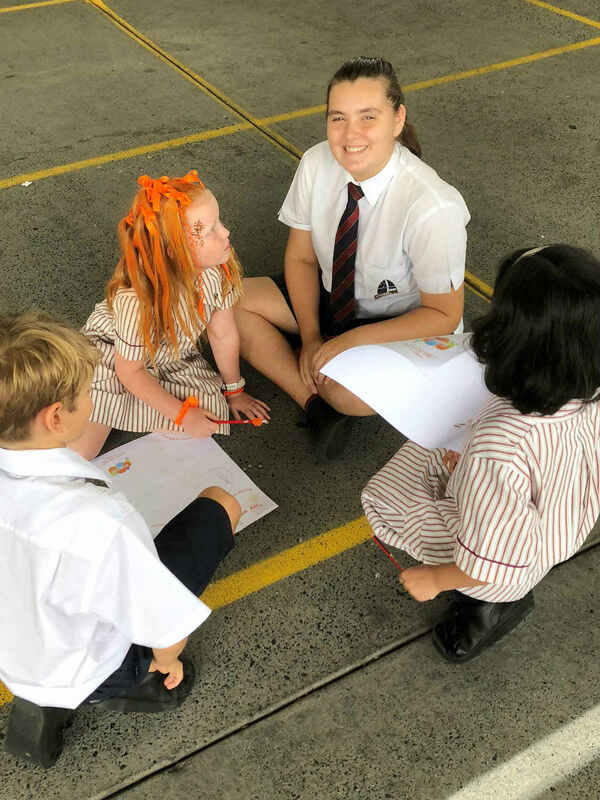 Our Year 6 students were quick to meet their Kindergarten buddies as they settled in - and of course Kindergarten had been keenly awaiting the opportunity to play with their Year 6 buddies! To be able to see the students playing with their buddies has proven to be a real privilege! During the term they have really enjoyed learning together when reading, playing games and undertaking craft activities. The Year 6 buddies have been a great aid in helping our youngest students to develop their friendship and citizenship skills. The P & F Welcome BBQ and the P & F Disco a few weeks later were both wonderful occasions for us to get together as a school community at the beginning of the year. We are thankful for our committed and active P & F and for the way they both promote our school community and fundraise to continue to improve our resources for the students. The Swimming Carnival was again an excellent event where students relished the opportunity to compete for their College. It was a real highlight of the day to see the wonderful College spirit and so many students ‘having a go!’ in the different races. We have a number of very talented swimmers in the Junior School and this was reflected in the number of students who went on to represent the school at HRIS and CIS levels. Well done to Ben Ruzicka, Hannah Ruzicka and Aaliyah Currie who were wonderful representatives of Lakes Grammar at the CIS Carnival recently. The School Cross Country Carnival was an excellent event and very well run – we were blessed with the weather and the track was in great condition considering the amount of rainfall experienced earlier in the week. (It seems to be a cross country tradition to have a lot of rain in the lead up!) The students showed great, positive school spirit whilst competing and the atmosphere with all of our parents and families was wonderful. Our best wishes go with those progressing through to the HRIS Carnival early next term. We were privileged to have Ms Emma McBride, our Federal member for Dobell visit the school on two occasions this term. Ms McBride gave a very inspiring speech about her personal journey from being a primary student in our local area to today representing much of the Central Coast in our Federal Parliament. Our Student Representative Councillors and Members were delighted to receive their badges from her at a special assembly. Mrs Livette, Miss Bennet and Mr Herbert worked with Ms McBride to conduct a Mock Parliament at school with our Year 6 students as part of their study of democracy in the lead up to our visit to Canberra next term. We enjoyed hosting a number of Korean families earlier in the term who were warmly welcomed by Year 5 and 6 into their classrooms. 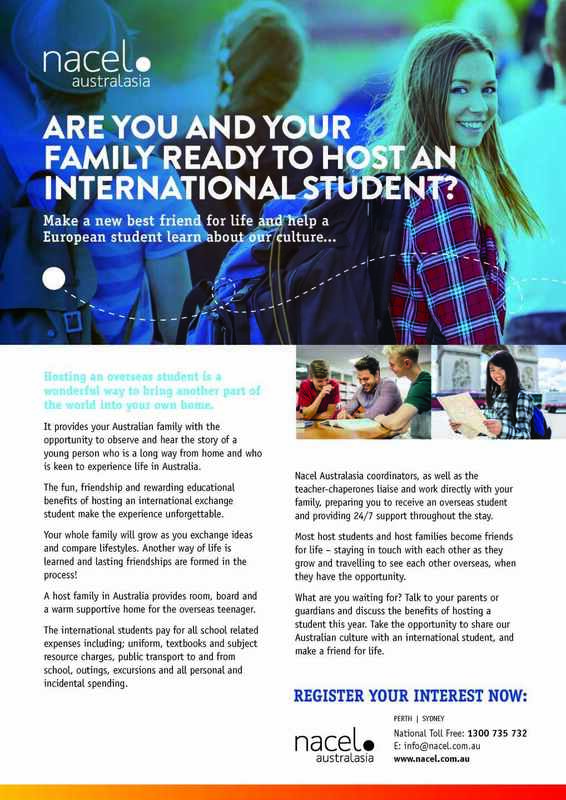 This proved to be an invaluable experience in being able to share between the Australian and Korean cultures and we are thankful to our many host families who were able to make this experience possible. One of the highlights of the term was the opening of our new STEM Centre in the Junior School and of the range of activities that students have been able to take part in as a result. These have included virtual debating, the Year 2 Nintendo Switch visit, Art Club and Science experiments during lessons. 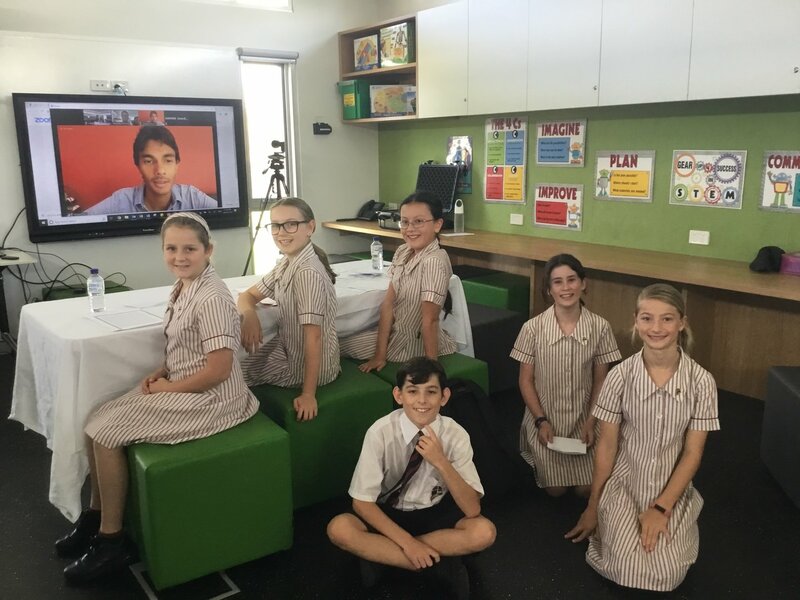 We had our first ever Virtual debate with Yarranlea Public School in Queensland a fortnight ago. It was very exciting and I want to formally acknowledge our amazing IT Staff, Brett and Jenny, who helped to make it all go smoothly. They have assisted with ensuring that we had all the technology required for the debate to go smoothly and also assisted the other school remotely to be able to get their sound working. Brett and Jenny did a wonderful job! The students really enjoyed the experience and it was also their first competitive debate!! Unfortunately, they were unsuccessful on the day but they learnt a great deal about debating. The topic was ‘That we should ban violent video games’ and they were the negative (a difficult side to argue). 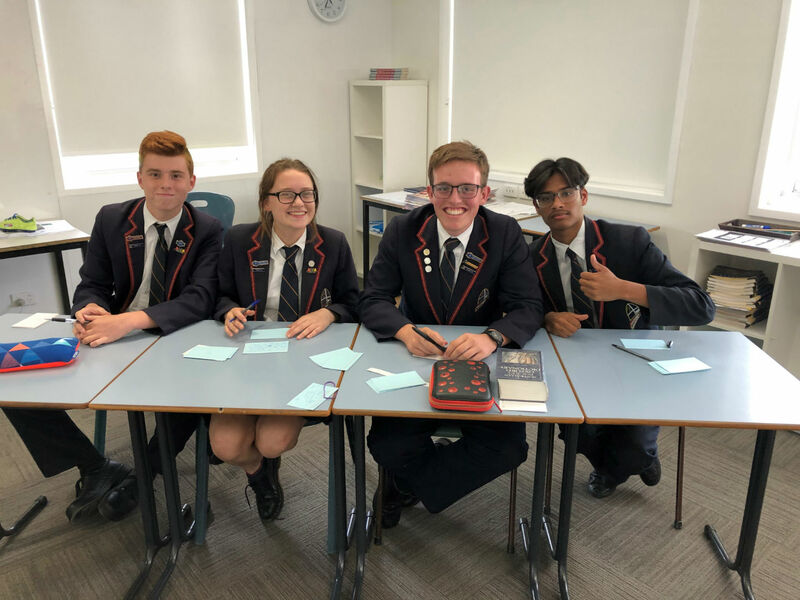 Our second team had a win on Tuesday, 2 April in their Virtual debate against Taree Christian School. The topic was that ‘Computers are a better teaching tool than books’ and we were the affirmative. Again this was the first competitive debate that these students have ever participated in. Year 2 Nintendo Switch has teamed up with the Institute of Play (IOP), a nonprofit organisation committed to creating transformational play-based learning experiences, to help teachers integrate Nintendo Labo into their curriculum. Mrs Smith was able to arrange a Nintendo Switch visit to our Junior School STEM Centre earlier this term, where Year 2 students were able to work in small groups to complete a series of projects that introduced some basic principles of Design and Technology. 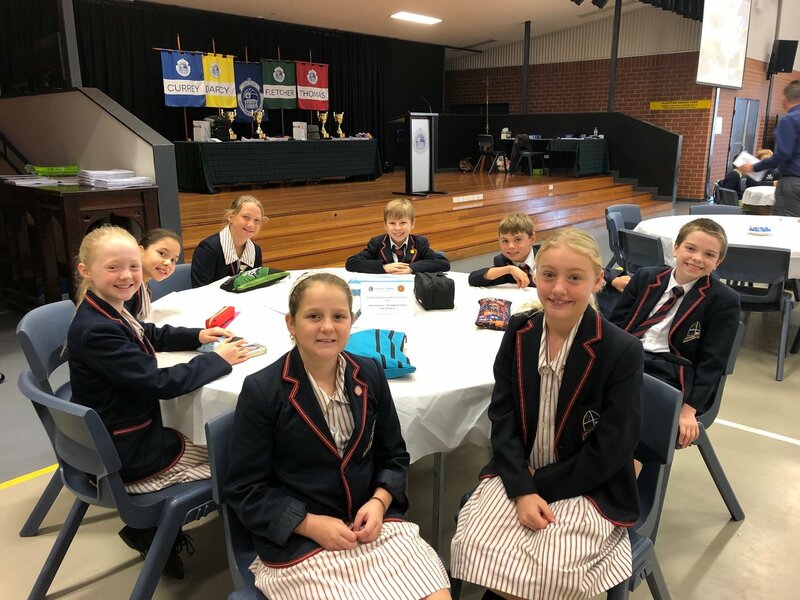 On Wednesday 3 April, we took a group of 32 Year 5 and 6 students to the Hunter Regional da Vinci Decathlon. The students did an amazing job and had a fantastic time working together to complete all the different subject areas. Bishop Tyrrell did a wonderful job hosting the event and made the day academically challenging as well as exciting and enjoyable for the students. Year 5 Team 1: 3rd Cartography, 1st Code breaking. Year 5 Team 2: 3rd Science, 3rd Creative Arts, 2nd Ideation, 2nd Code Breaking, 1st General Knowledge. Year 6 Team 1: 3rd Creative Arts, 1st Engineering. Year 6 Team 2: 2nd Science, 2nd Mathematics. 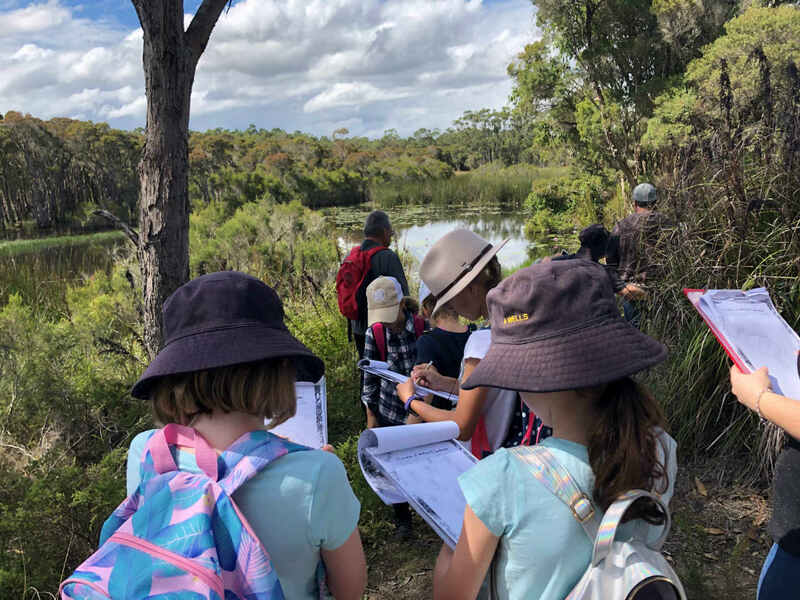 A number of year groups enjoyed excursions as a component of their units of work – Year 2 to Wyong Art House, Kindergarten to Oakvale Farm, Year 4 to the Charlie and the Chocolate Factory Play in the city and Year 3 exploring Porter’s Creek Wetlands and Year 6 the Raw Challenge. A selection of photographs from each is shown below. Diesel V, Jack K, Noah H, Jackson W, Alana B, Tobias T, Caleb U, Marianne D, Tyler G, Miranda F, Cooper H.
Mark T, Jorja B, Addyson B, Cooper N, Kaella D, Angelina A, Tannahli W, Addison K, Selena S, Riley A, Ben O. A reminder of the ANZAC Day March held by the Doyalson RSL Sub-Branch which falls during the school holidays this year on Thursday, 25 April. 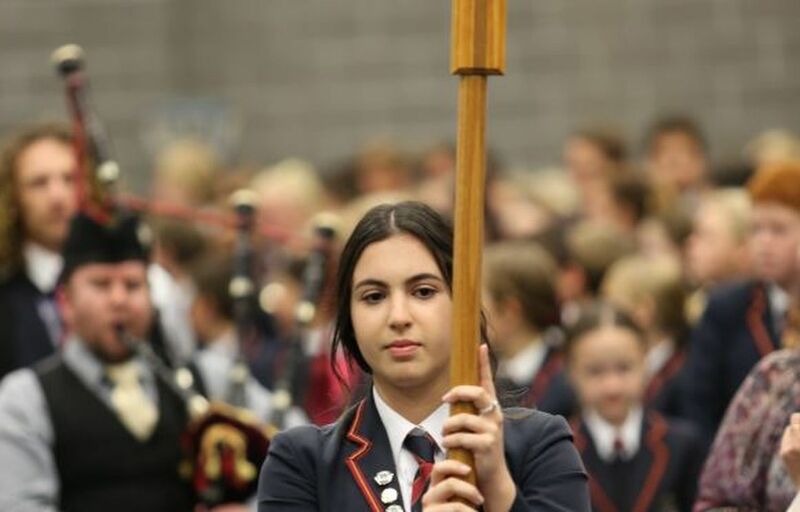 Participation is something of a tradition within the school and it is heartening to see the large attendance by Lakes Grammar students and their families growing further from year-to-year. If you plan to attend, please ensure that your child wears the Lakes Grammar winter uniform and blazer. Please meet Mrs MacLarty (Senior School Co-ordinator of Wellbeing) onsite within the Doyalson RSL Club Grounds (please note change from last year) to form up within the Club’s grounds by 8.00am ready for the march to begin. Following the march, children should stand with their parents for the service at the Cenotaph at the Doyalson RSL Club (or inside the club itself if the weather is inclement), commencing at 9.00am. My thanks go to each and every one of our amazing staff team for their efforts this term. It has been a particular pleasure to welcome Mrs Stowe to our staff team as Co-ordinator of Quality Teaching and Learning (K – 6) and it is a privilege to work with such a capable, passionate and professional team who consistently give of their best for the students and love what we do. We are blessed with wonderful students who are lively and passionate about their learning, deeply caring and have a wonderful zest for life. I wish you the best for the upcoming holidays and look forward to welcoming you back in Term 2. A big thank you to those parents, staff and students who have been patient and supported the Junior School Library this term during the flood damage. A very big thank you to Mrs Tennant and Mrs Matri who helped get the library back in order during this time while I was on LSL. While on LSL, I attended the California School Library Association in Los Angeles, USA. This was a great experience for me to see how other school libraries internationally ran and to network collaboratively through relevant workshops. It was great to see that what we are doing here in Australia, in the school library environment, is very similar to that in the USA. It is not too late to register for this year’s challenge. Please return the registration form to the Junior School Library to get started. We currently have 160 students registered so far. We already have 7 students that have now completed their PRC. Well done to those students! 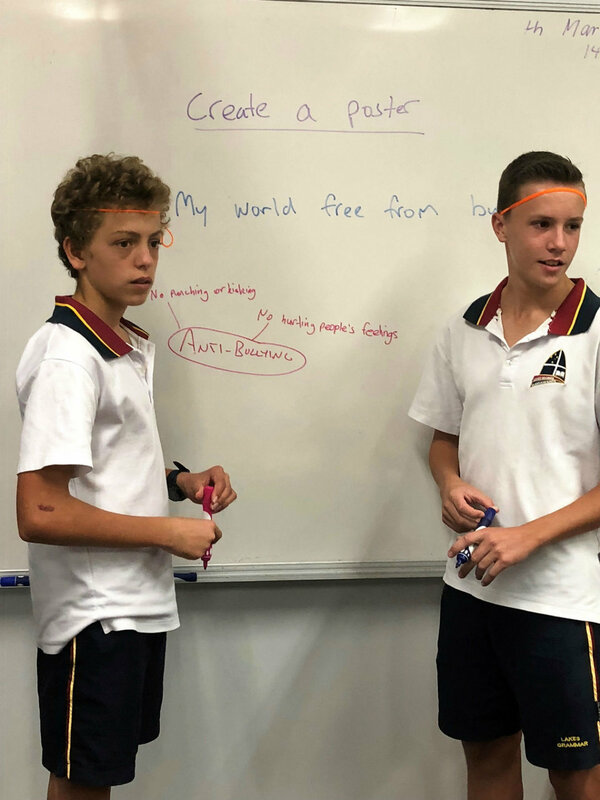 We have had an exciting start to 2019 with many opportunities for students at Lakes Grammar to develop their potential and extend themselves in a variety of areas. Again in 2019, students in Kindergarten to Year 6 have participated in a general screening process. 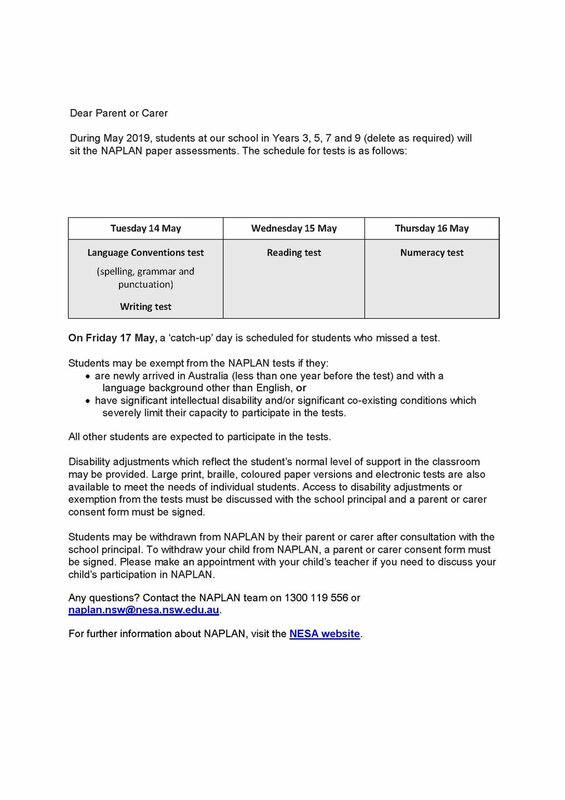 Students in Years 2-6 have completed a General Ability Test that has provided all staff with information regarding our students in areas that they are excelling. Both teachers and parents have completed Student Nomination forms to provide further information on our students who require extension. Thank you to all parents and staff who completed Student Nomination forms. It has been a valuable process to see what our students are doing to challenge and extend themselves in a range of areas in the school environment and beyond. This information has assisted in the formation of extension groups, provide support to these students in their classroom and to provide additional opportunities to extend our students. 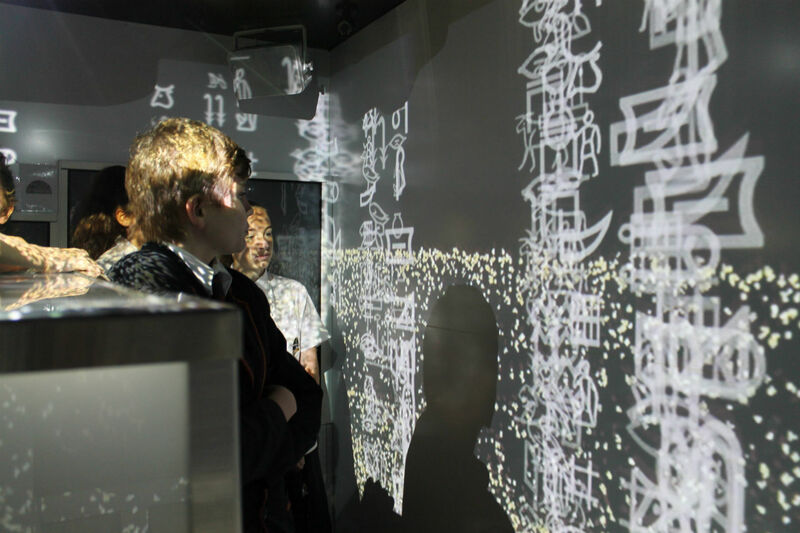 The 2019 Bebras Computational Thinking Challenge (www.bebras.edu.au) is part of an international initiative whose goal it is to promote computational thinking amongst students. The Bebras Challenge is aligned with and supports the Australian Digital Technologies Curriculum. This year we had 109 students across Years 3-6 participate in the Challenge online during Maths Groups. The students all enjoyed working in collaboration with their peers to complete the competition. We received 5 Distinctions, 13 Credits and 49 Merits. A wonderful achievement for all students who participated. This term we have commenced our first Art Club. We have had great interest in the club and look forward to expanding it further. The students have enjoyed learning about a variety of art mediums including pencil, charcoal, watercolours and acrylic paints. They have learnt a range of skills and techniques for each medium. The students have had the privilege of having visiting artists come and teach them about the different mediums. Belynda Henry, local artist, taught them about tone using charcoal as well as how to create the magic with watercolours. 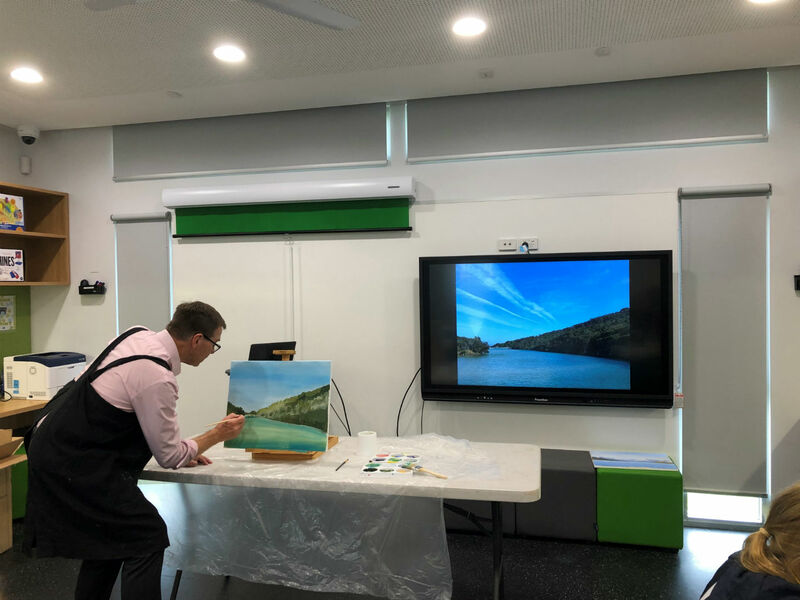 Mr Hannah demonstrated how to paint a landscape and creating perspective and gradients of light to dark in the sky. Miss Bryson also shared her skills of watercolour and drawing with the students. The students have had a wonderful term and presented their work at an Art Exhibition in the last week of term. It has been a very exciting term with debating. We started the year with some debating trials for all students interested in Years 5 and 6. From this group of students we had a Debating workshop to learn roles and structures in a debate. The students had a wonderful time and particularly enjoyed learning from some High School debaters, Alex Voigt and Jordan Stevens. We have two teams in the HICES Debating Competition, one Year 5 and one Year 6. Both teams are having a great start to the competition with two out of three wins. They have travelled to a variety of schools in the Hunter Region. We have also entered two teams in the NGS Super 2019 Virtual Debating Competition run by the Association of Independent Schools (AIS). These teams have had the joy of debating in the comfort of our new STEM Centre debating virtually against teams all over Australia. 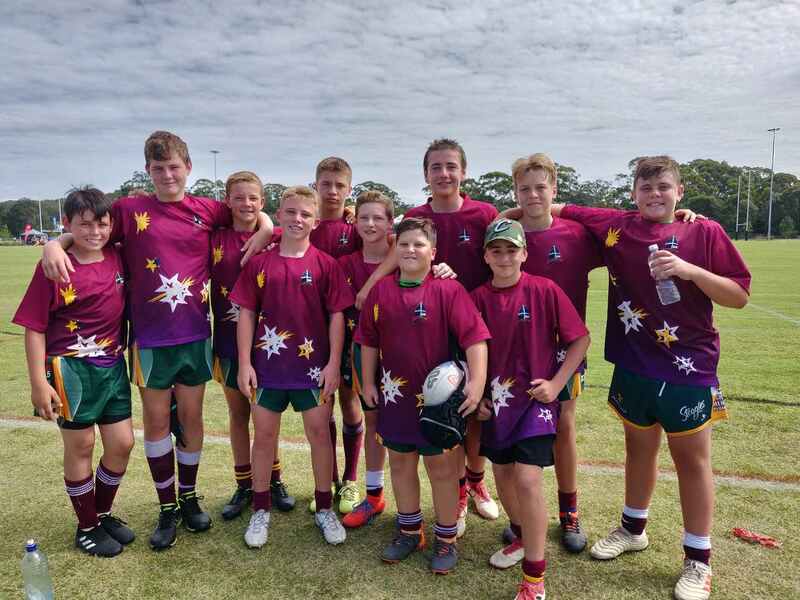 Team 1 had a loss against Yarranlea Primary School in Queensland and Team 2 had a win against Taree Christian School. Team 2 will go through to Round 2 against Northside Montessori School in Term 2. Our teams have both enjoyed the experience of debating virtually. 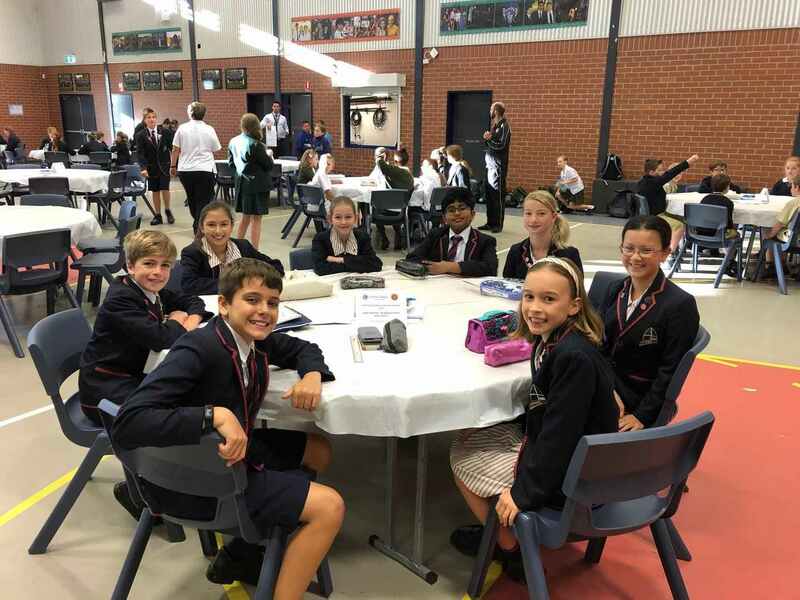 This term we had 32 students, two Year 5 and two Year 6 teams, participate in the Hunter Regional da Vinci Decathlon. The da Vinci Decathlon, inspired by Leonardo da Vinci (1452-1519), is an academic competition designed to challenge and stimulate young minds across 10 disciplines: Engineering, Mathematics and chess, code breaking, Art and poetry, Science, English, philosophy, creative producers, cartography and general knowledge. Congratulations to our 2019 teams! Year 5 Team 2: Makayla Beasley, Grace Ostergaard, Ava McLeod, Tahlia Allen, Cohan Voisey, Max Adams, Rhys Fogarty and Grace Crumbley. Year 6 Team 1: Douglas Ruzicka, Ella Williams, Ashley Inwood, Sage Kenny, Amelia Collins, Ella Burgess, Quinn Flower and Mitchell Curry. Year 6 Team 2: Ravi Francke, Sophie Langford, Alyce Hokin, Carly Chapman, Jake Richardson, Jerome Dagang, Vaughn Peachey and Tahlia Shorten. These programs and competitions are just the beginning of many varied opportunities that will be offered in 2019. Our aim is to ensure that we are challenging and stimulating our students in a way that corresponds to their learning needs, therefore, ingraining in them the drive and passion to continue to strive for excellence in all learning areas. Information regarding upcoming programs, competitions and courses will be communicated throughout the year. Thank you to staff, parents and students for another wonderful term in the Senior School at Lakes Grammar. It has been another rewarding start to the year. Obviously our new facilities has been of great benefit and changed the nature of the Senior School. The new STEM, D&T, Drama and office areas were finished at the start of the year with a formal opening in mid-March. These impressive facilities are a great boost for staff and students. Drama now has a proper home and apart from classroom activities, the new space has provided a consistent area to rehearse for our upcoming musical in Term 3, The Addams Family Musical. The STEM space is proving very popular and has allowed us to create some very different types of projects with Year 7 learning to program Arduino chips with the aim to solder up their project and complete then encase it in a 3D printed, or laser cut container! A very different sort of project to what we might have completed even 2 or 3 years ago – technology is certainly moving at a fast pace. Continuing on the practical theme, Year 7 completed a local water testing activity in Science, Year 8 students took part in a STEM challenge day, and Year 9 participated in The Block Challenge in Science. 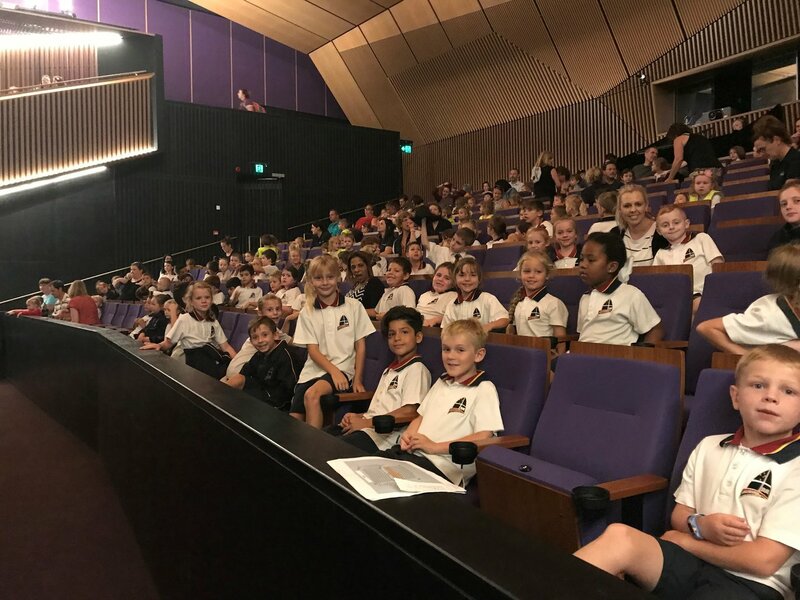 Other excursions have included OnStage Drama for our Drama students, Art Express for our Senior Art students, an excursion to the University of NSW for some of our gifted and talented students, the RYDR safe driving course for Year 11, and zoo excursion for Year 8. In the wellbeing area a number of special activities added to the vibrancy of school-life though the term. Our Prefects ran a Valentine’s day fundraiser in the Senior School, the MHAP team provided an Anti-bullying day, and the Prefects and College Leaders organised end of term college activities. During the term Year 8 also participated in an alcohol awareness program. The Korean visit to our school in February was another cultural highlight and our school is participating in a similar visit to China in the upcoming holidays. 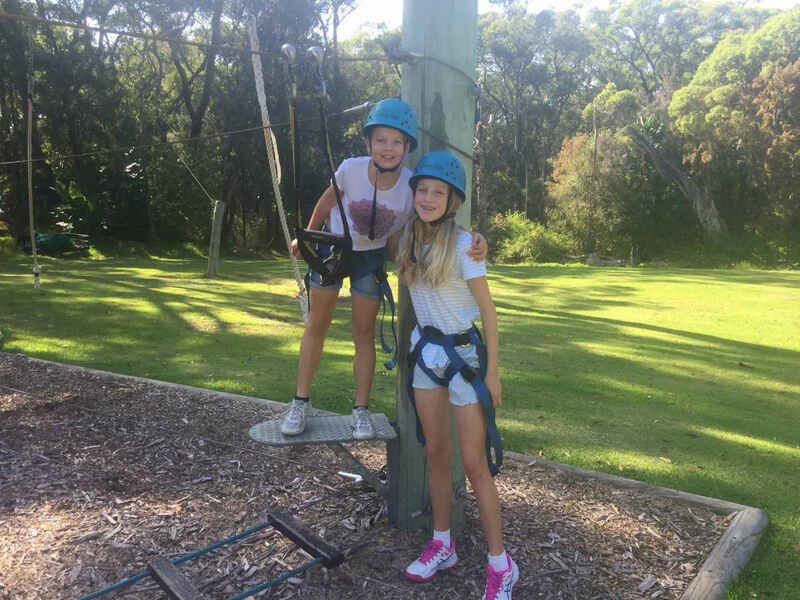 Year 7 had a fantastic time at their annual camp and the Year 12 retreat was enjoyed by all. 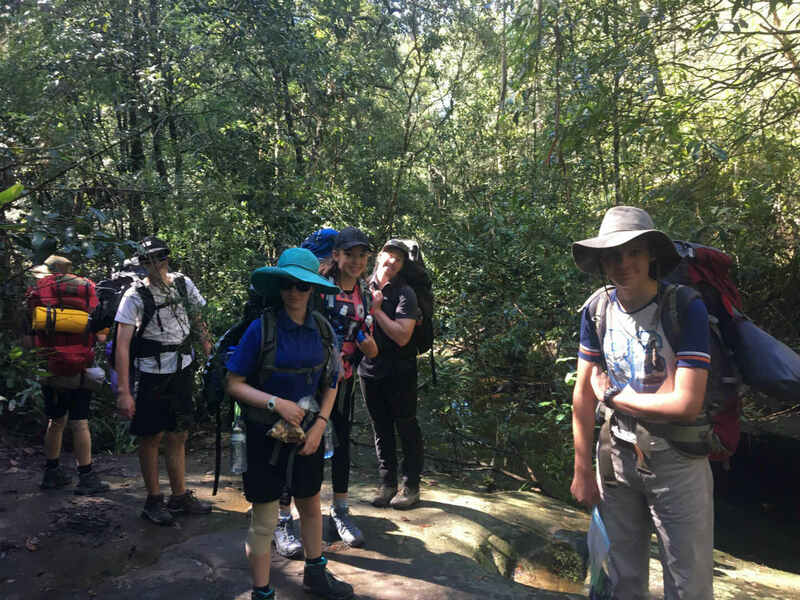 In recent days, a small number of intrepid adventurers hiked and paddled in the Hawkesbury region, completing their practice journey toward the Bronze or Silver Duke of Edinburgh Award Scheme (Dukes) and they will be out again in November to complete the ‘journey’ aspect of the award. On the more academic front, we ran two information nights and a school tour during the term. 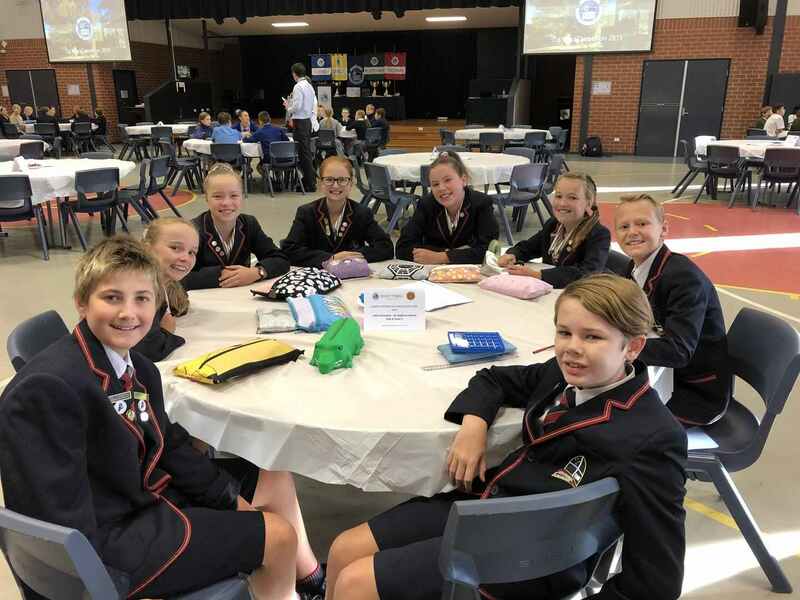 Students have started to participate in the various debating competitions and have enjoyed participating, once again, in the academically demanding da Vinci Decathlon in Newcastle. In sport, the focus tends to be on Cross Country and Swimming at both school and at regional competitions, however, the Year 7 aquatics program run during weekly sport was a new initiative this year. You can see that it is an extremely full program, and I haven’t even mentioned all the teaching and learning that also takes place in classrooms. Students certainly have a wide range of opportunities available to them in our school. Term 1 has flown by and with it some familiar activities and some new experiences have been had. The start of the term saw us welcome back Amanda Wishart our Senior School Counsellor who has been on leave for a while. Caitlin French filled in while Amanda was away and we were sorry to see her go to another school, but it was also great to have Amanda back! Peer Support has kicked off with much success. Our Year 11 leaders were trained last year and met with their groups during Orientation Day in November. 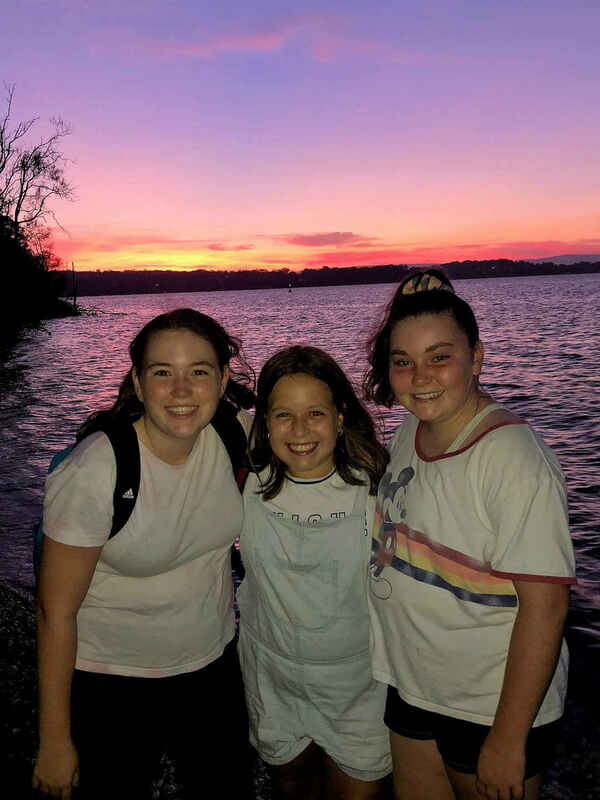 They were able to reacquaint themselves with each other on the first day of school this year and met several times since working their way through the Peer Support program. This will continue next term. Tutor Groups this term for Years 7-9 have revolved around bullying, how to identify it, how to prevent it and how to deal with it. Students have engaged in a range of activities designed to build a sense of belonging and understanding of their school environment and those around them. Tutor sessions for Year 10 have revolved around careers activities and Year 11 & 12 have had a variety of activities from checking NESA details to looking at procrastination and motivation. 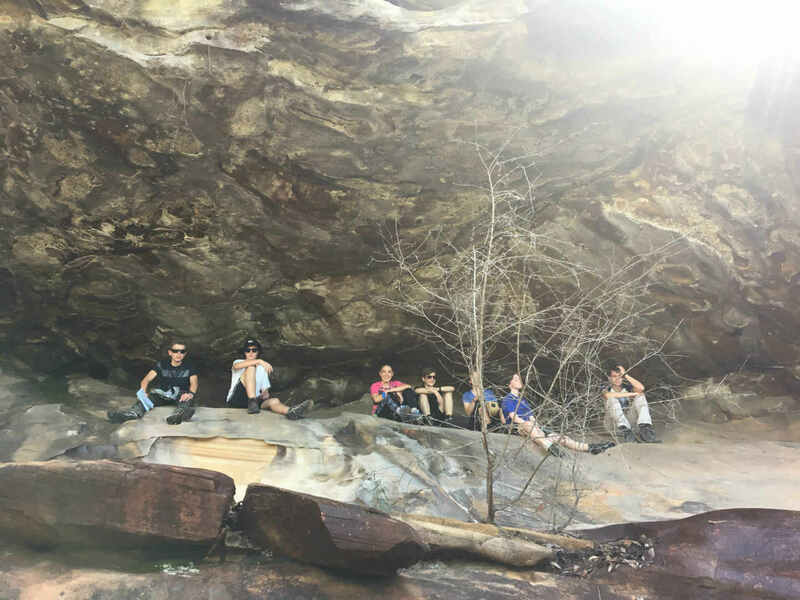 Our camps program started early in the year with Year 12 Retreat in Week 4 which was a huge success. Our eldest students had time to unwind, engage with each other and the ideas presented to them from a variety of presenters. There were alot of opportunities to hang out and lots of belly laughs were had. Students prepared all the food and our staff and students shared lots of experiences together. Year 7 camp at Point Wolstoncroft in Week 7 was also very successful. This camp focused on challenging yourself and teamwork. Students worked well together to have a lot of fun together. The Mental Health Advocacy Program (MHAP) Team have reformed with our existing students who are now in Year 10 welcoming in a new cohort of members from Year 9. Our MHAP Team for 2019 are: Year 10: Tiah Vale, Elizabeth Thomas, Isaac Dunn, Han Green, Oscar Bendeich, Callum Davies, Sarah Zurobski, Madeline James, Shannon Liddle, Zali Phillips, Edan Shorten, Ryan Bentley, Fox Smith, Jamie Durham, Jeremy Beale Year 9: Juliet Ridgewell, Alex Voigt, David Lewis, James Preston, Mackenzie Astorga, Mia Locchi, Emma McDonald, Kasey Young, Jack Blackshaw, Cameron McPhan, Charlotte Peach, Dearne Peachey. Amanda, the Wellbeing Prefects and I look forward to working with you on projects across the year to build positive relationships, belonging and advocate for good mental health. We held our first special day this term with our Anti-Bullying Day. 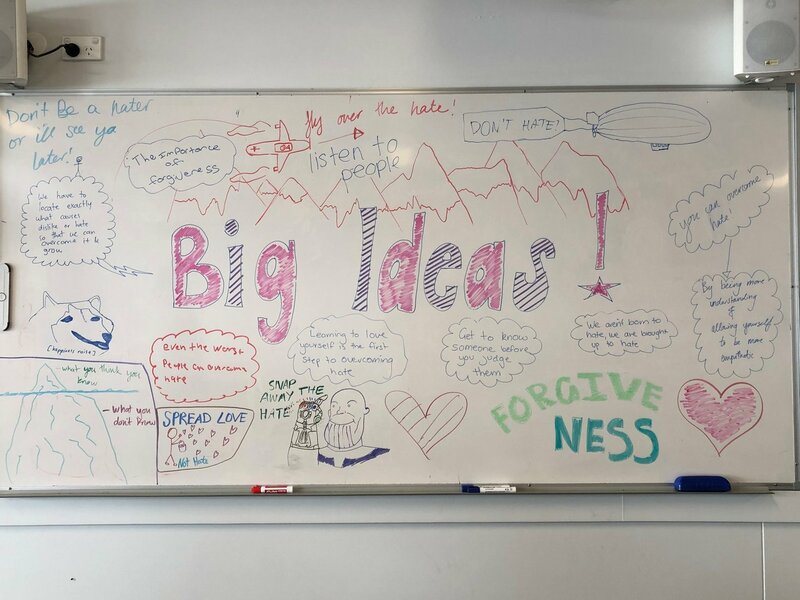 Some activities discussed the elements of bullying and being a bystander which culminated in some awesome whiteboard art from Years 10-12. This competition was won by Year 12 Ridley for the messages presented well done – pizza party coming your way! Our MHAP students then went to the Junior School to assist with their ‘A World Without Bullying’ activity. Our School Prefects have been busy planning College Games activities which are designed to bring a fun element to the end of term. Students completed a wide variety of activities in their year groups to compete for College points. The point score has never looked so good at the end of Term 1! An Easter egg hunt finished off the term before our Easter Service. Thank you to every student who has involved themselves in activities this term. Your enthusiasm and participation makes for a more positive and inclusive school. I pray that you all have a restful, safe and enjoyable Easter break. We have been planning for next term and look forward to sharing it with you. As always Term 1 has been very busy in the English/History Faculty! In the first few weeks students completed pre-tests to help staff gauge where individual students are at and to provide data to move student learning forward. Since then students have been engaged in their learning and working towards developing their knowledge and skills in both English and History. The first formative assessment tasks for the year have also been completed across all year levels. Students are encouraged to reflect on the feedback they receive from these tasks and continue to work on refining their strengths and further developing their weaknesses. 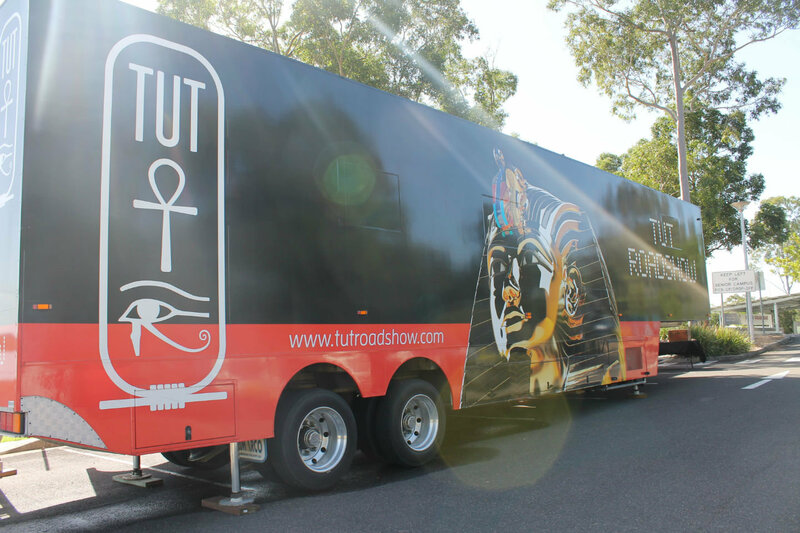 On Monday all Year 7 and 8 History classes and Year 11 and 12 Ancient History students attended the Tut Roadshow – an incursion that provided an exploration of the ancient past with a focus on the uncovering of Tutankhamun’s tomb and the discovery of Dead Sea Scrolls. 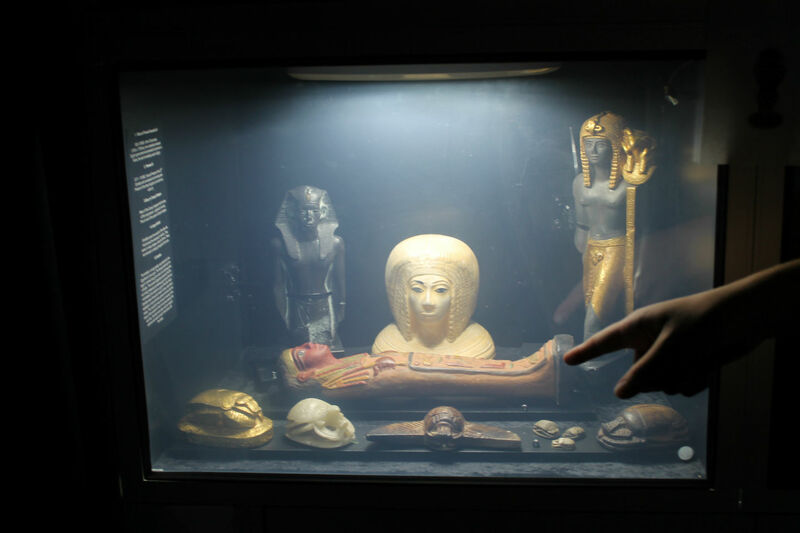 The Roadshow was a great learning experience as students were immersed into the world of archaeology through audio-visual, artefact replicas and hands-on activities. 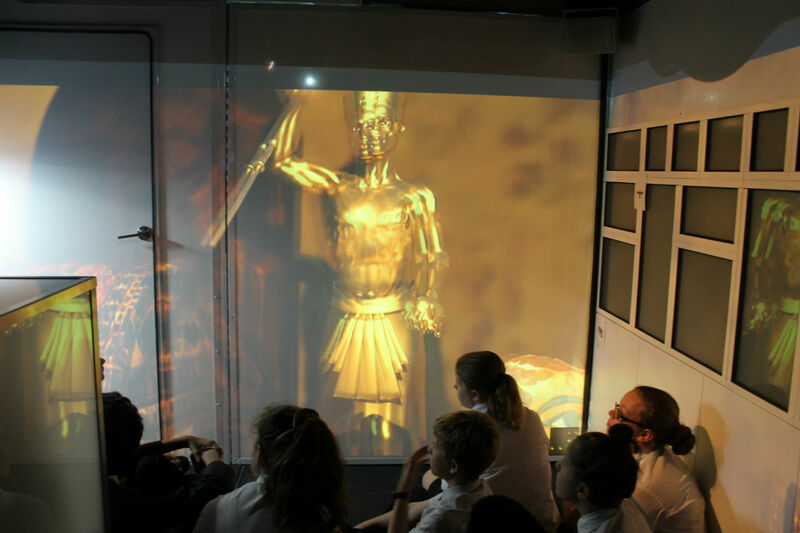 Next term students will have the opportunity to extend their love of learning beyond the classroom with a number of activities on offer as part of the school’s Cognito program for English and History. Students are encouraged to take advantage of these opportunities as they arise. For more details please refer to the Cognito Program. Term 1 is over and so much has been achieved. Year 7 have now completed their first term of High School Science and from the work we have seen and the comments from the students it appears they are enjoying themselves, with all having mastered the correct use of the Bunsen Burner and in receipt of their Bunsen Burner licenses and successfully undertaken their first field trip, collecting and processing valuable data as they monitored our local waterways. Year 8 began the term developing four key STEM attributes – Teamwork, Resilience, Data Collection and Goal Setting. The feedback from the day was very positive and the students have applied these skills throughout the term as they have commenced their first STEM project. 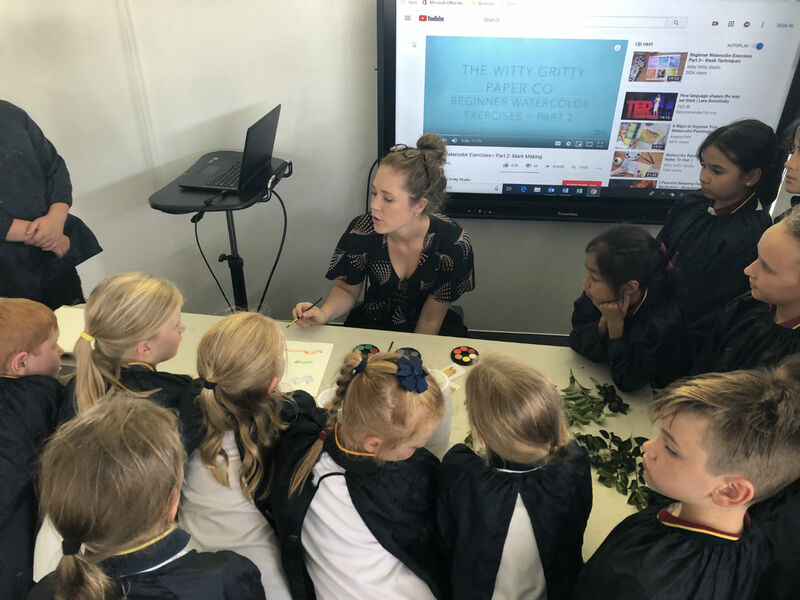 In class students have been looking at the requirements of both plants and animals for living healthy and as a part of this study they have conducted an in-depth investigation into the germination of plants as they prepare to complete their STEM challenge in Term 2. 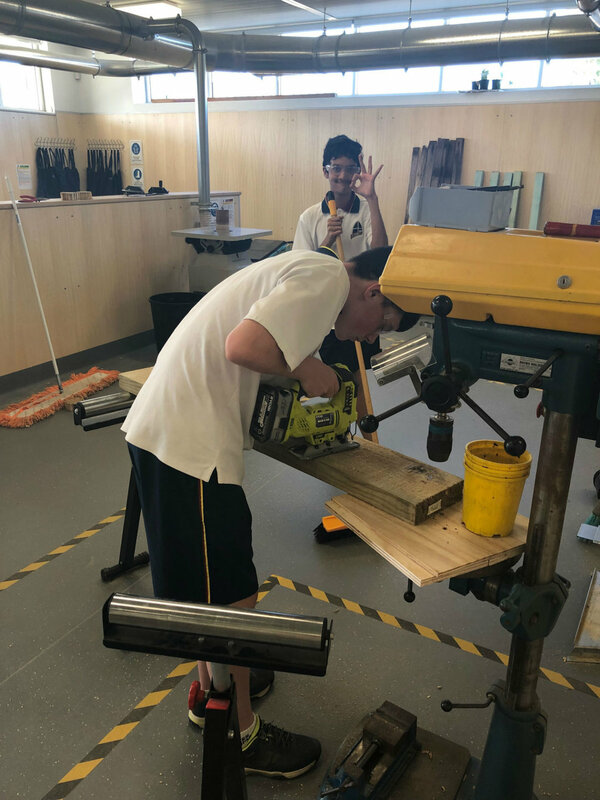 The Year 9 students participating in The Block Challenge last week again did not disappoint in the areas of application, design and construction, with individual teams working extremely efficiently to construct the most environmentally friendly building. Well done to all on your amazing efforts. Several design and construction teams managed to score maximum points on some sections of the Challenge! Year 10 are completing their first module of work on The Chemical World and have really shown some higher order thinking skills – writing chemical formula and balancing chemical equations. They submitted their first assignment for their ROSA this week and all their teachers were impressed with their overall engagement with the task. All the Year 11 courses have begun well with students approaching their studies enthusiastically and displaying a dedication to achieve well. It is going to be interesting to see how well the challenge of the first assessment tasks is met. For Year 12 the end of Term 1 marks the half-way point in their HSC courses and I think for some the realisation of the effort required to achieve at a high level is really starting to hit home. I encourage all of them to spend time this holiday break making sure their current modules of work are all up-to-date, including study notes. Wishing you all a relaxing and yummy Easter. 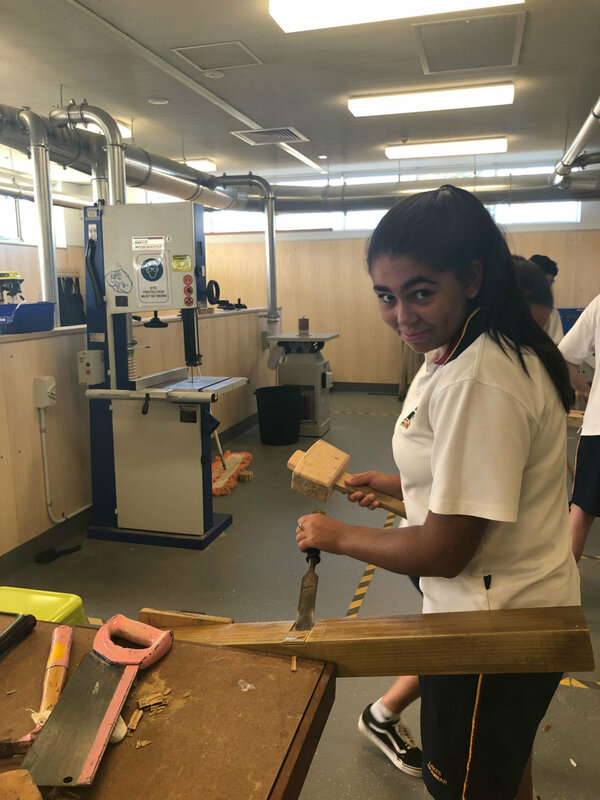 It has been a busy term for Gifted and High Achievers, with a number of programs starting for 2019. Mentoring for Year 11 and 12 students has occurred throughout the term with discussions on goal setting and study skills, the Galileo Society projects have been discussed and initial plans laid out and Children’s University Learning Passports distributed with first entries recorded. 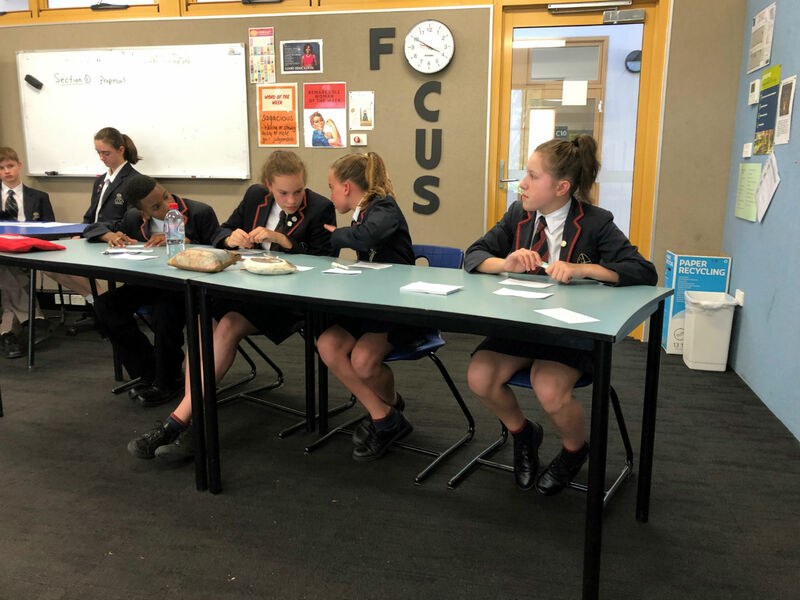 Café Philosophique, a club for our gifted and high achieving students where we discuss broad topics across a range of fields, has kicked off for its second year and has brought some heated debate, particularly in the field of politics for our Year 12 students! There have been three rounds of HICES debating already with numerous successes across our Year 8, 9 and 12 teams. The Year 8 team: consisting of Chloe Collins, Brooke Shorten, Kani Lukata, Charlotte Dobson and Cameron Taragel have had confident and convincing wins against Central Coast Grammar School and Newcastle Grammar School and a narrow loss to Hunter Valley Grammar in the latest round. Our Year 9 team: Alex Voigt, Jackson Blackshaw, Jess Gardiner and Isaac Robinson, had a win against Newcastle Grammar with exceptional rebuttals, but unfortunately have had a couple of losses against Central Coast Grammar and Hunter Valley Grammar. The Opens team: Elyse Hayhurst, Jordan Stevens, Oliver Shedden and Gautham Srinivas, after a nasty topic in the first round which led to a loss against Newcastle Grammar, have found their feet and through passionate arguments and confident rebuttals have had recent wins against Hunter Valley Grammar 1 and Hunter Valley Grammar 2. All debaters have done an incredible job so far and we look forward to the final round next term. Friday, 29 March Year 12 Gifted and High Achieving students were given the opportunity to visit the University of New South Wales in Sydney to see what the campus had on offer. 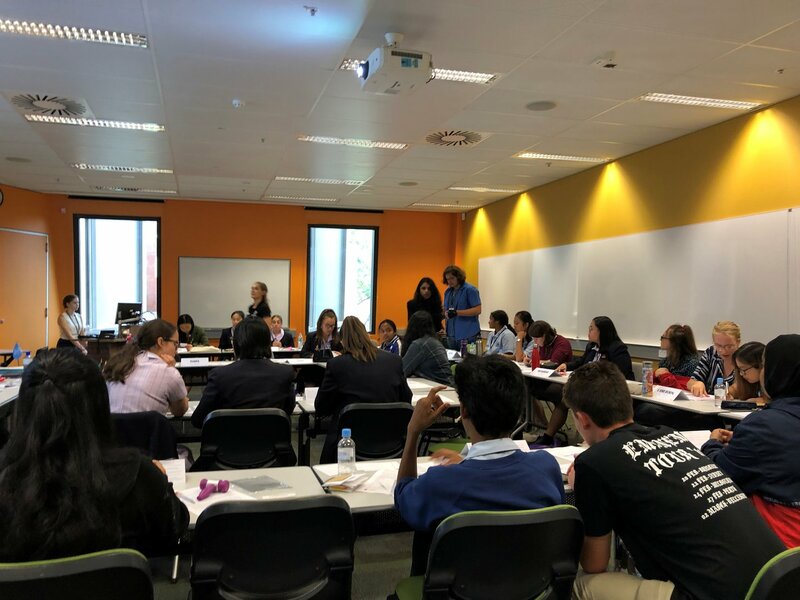 Students were involved in a Model United Nations Workshop, where they were given a country to represent and debate current issues, policies and initiatives on behalf of. After driving a lot of the debate (purportedly due to honing their skills in Café Philosophique each week!) students went on to have a presentation from various extra-curricular societies and organisations and even got a tour of Basser College, on-campus living facilities at UNSW. To tell you more about our experience, students Elyse Hayhurst, Jack Riches and Gautham Srinivas have explained their perspective on the visit. The UNSW visit was a fresh outlook into the prospects and opportunities of higher education. It was an invaluable experience and gave insight into the possibilities beyond high school. Being so faraway from Sydney, sometimes a reminder of these opportunities is important and the visit to UNSW achieved this effectively. It has been so difficult to wrap my head around the fact that the school structure we have known and endured for 13 years is about to be completely flipped on its head! The UNSW trip showed me not only how incredible the campus is but also gave me the insight into the step-by-step structures of courses, along with a list of the courses offered. It reduced so many of my worries about leaving school and made me incredibly excited for this journey to continue. The tour of the on-campus living was incredible and outlined exactly what my life could look like next year. We were given the opportunity to hear form the organisers of all of the campus extra-curricular activities and opened to an entirely new side of university I never thought of. Overall this trip not only outlined and helped refine my decisions on courses but also represented just how much more there is to uni than just a degree and that in itself is something that has helped shaped my decisions and understanding of this new and exciting journey! My visit to UNSW not only gave me an outlet to express my visions for the future but also broadened my understanding on university. It allowed to me see first-hand the working, living and studying conditions of the university. This was valuable as I myself had little understanding of university, thus this excursion allowed me not only to gain an understanding of the process of University but pointed me in the right directions of the questions I should be asking before applying for any university. Therefore, I found the excursion to UNSW university as part of the high achiever program a valuable learning experience for my future while also being a lot of fun. 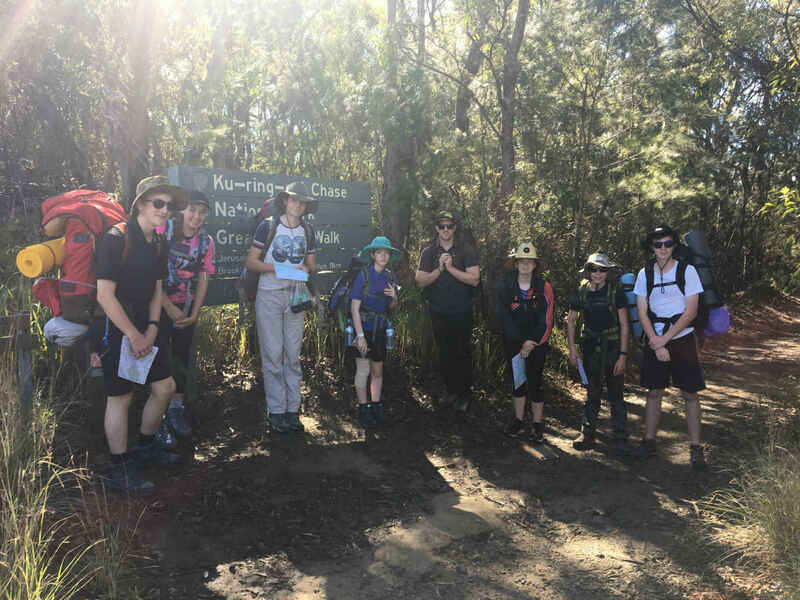 During Week 10 seven students successfully completed their practice Duke of Edinburgh journey. The journey took them hiking on a popular yet rugged section of the Great North walk between Cowan and Brooklyn. 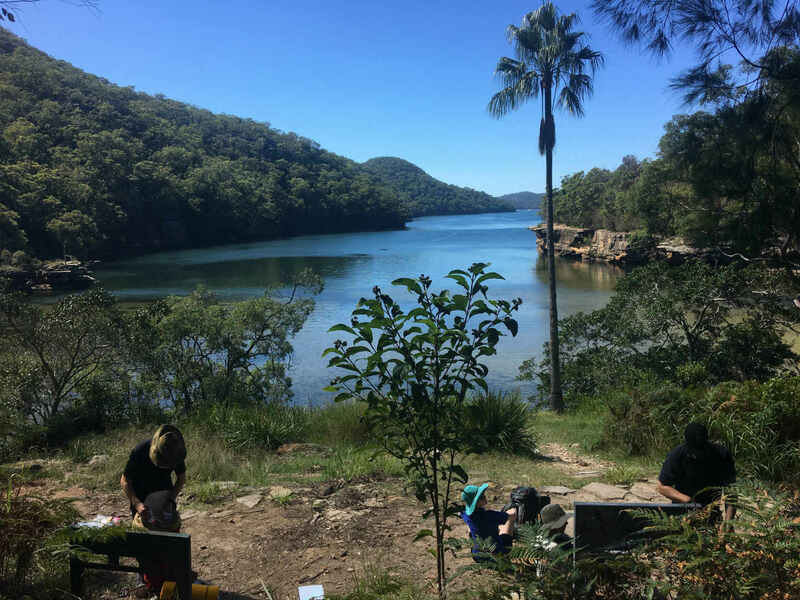 On day-two students paddled from Brooklyn to Jerusalem Bay on the Hawkesbury River and back on Friday. 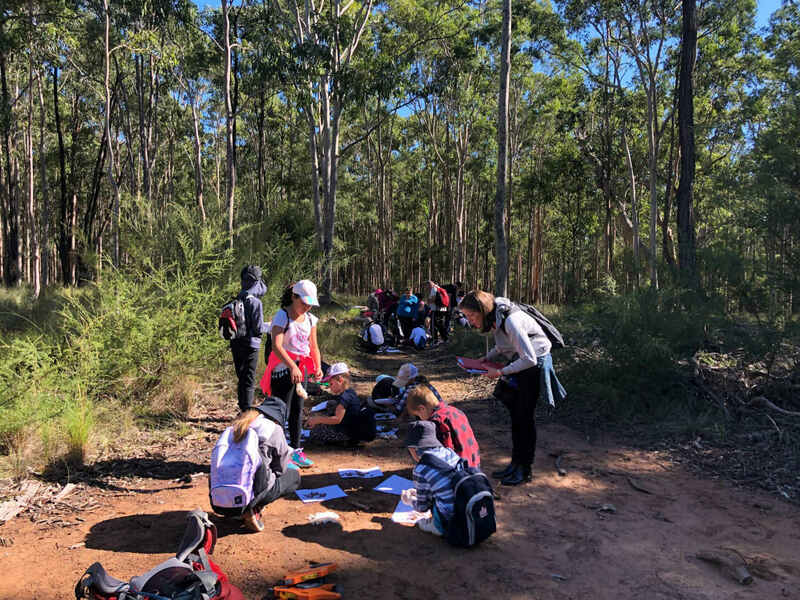 The students completed approximately 45km over the three days which is quiet a physical challenge considering they had to carry all their own equipment including food for three days. The group experienced heavy rainfalls whilst paddling and kayaking yet it didn’t dampen their spirits or stop them having fun. The rain was a definite challenge for cooking and camping, luckily card games in tents entertained everyone. Along the journey some highlights were waterfalls and jellyfish along with plenty of birdlife and unique sandstone rock sculptures. These students learnt many new skills whilst away and are looking forward to their qualifying expedition in Term 4. If any students wish to join our Dukes program for the next expedition they need to visit the website below to register and see Mrs King to discuss their award plan. Students need to be over 14 years of age to register for the Duke of Edinburgh award scheme. Big congratulations to William Cook, Stephanie Luyt, Kasey Young, Liam Baxter, Blair Evans, Jessica Gardiner and Alex Voigt for successfully completing their first Dukes challenge. Throughout Term 1 the Year 9 PASS class has been studying body systems and how they interrelate to allow us to move and exercise efficiently. They wanted to share their somewhat creative heart models they designed in 15 minutes during the last week of school. Next term PASS is looking forward to developing their coaching skills as they complete a coaching course with the Central Coast AFL development officers. The TAS department and students have had a great term. The staff and most importantly the students have enjoyed using our new facilities. Design and Technology students have been making the most of the new facilities and the workshop with two senior students creating designs, using the new metal working space. Our Year 8 students have started their vertical garden projects and have enjoyed the challenge of planning and constructing using their project. 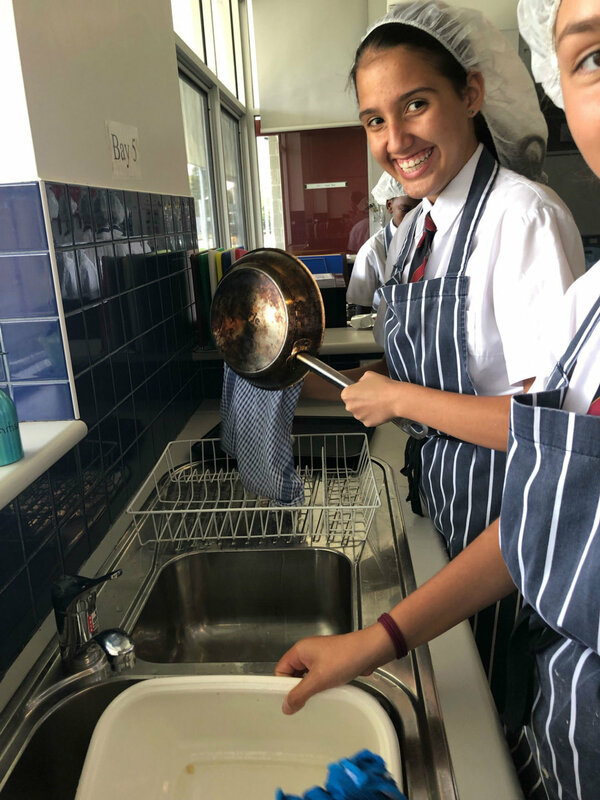 Food Technology students from Year 8 to Year 12 continue to produce mouth-watering dishes, and our Year 10 students are enjoying the Royal Easter Show where they are investigating food trends, paddock to plate, and catering. Finally our Year 7 students have produced some amazing textiles projects while others are really starting to get the hang of coding and producing electronic projects. We can’t wait for Term 2. The SS Library has been a hub of activity including much increased book borrowing this term, due in part to the attraction of various displays, including all our red books on Library Lovers’ Day on 14 February, where students could go on a blind date with a book – wrapped in brown paper, and reflect on and add to the display of why they love libraries. Another display which encouraged more interest and borrowing was all our green books for St Patrick’s Day, and currently there are both Easter and Anzac Day displays. 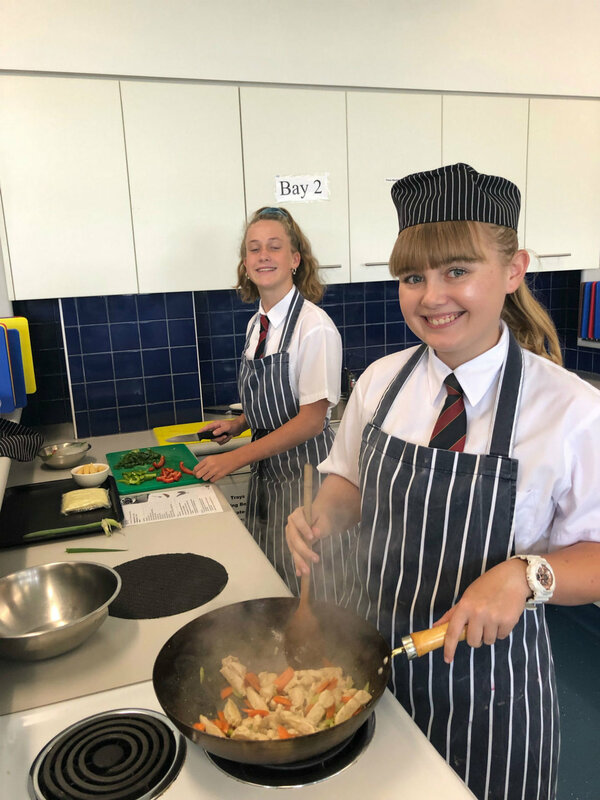 There are also a number of extremely helpful Year 10 students who regularly come to the library at lunchtime and complete a range of jobs, along with many other students using the library at lunchtime for board games or school work, and also to visit the Blue Room where Mrs Thomson and Mrs Wishart have Lego Club. Reading Conferences aka Book Buzz has also lifted book borrowing and reading, particularly with all of Year 7 English and a third of Year 8. Reading Conferences are a one-to-one book chat with each student and one of three teachers in the library during silent reading once a fortnight. The students are more focussed on their book choices, and are reading with more purpose and enjoyment, as they are encouraged to focus on one or two of several reading and comprehension skills. They also talk about and then set themselves realistic and achievable reading goals for the following fortnight. An increasing number of students are signing up to participate in the Premier’s Reading Challenge, due to chatting about this and being encouraged during Book Buzz to make it a reading goal. Then there is the Cognito Lakes Grammar Reading Challenge as well – more on this in the next newsletter. It has been an unusual start to 2019 for both Pete and I in our roles as school chaplains. I arrived back from a family holiday in Hawaii having missed the first few days of professional development with the rest of the staff for the first time ever and then almost as soon as the term started Pete became seriously ill. Fortunately our amazing Kindy teachers were able to prepare our newest school members for the Blessing of the Backpack service at Lakes Anglican. I also had the privilege of leading the first two K-2 Chapels in the Junior School which hasn’t happened in years. Only one student slept through…so that’s pretty good J. I am also super glad that Pete recovered and has not had any student fall asleep in chapel. In the Junior School the two new roles on the student leadership team as Christian Ministry Leaders have been filled by Savannah and Vaughn who specifically work alongside Pete in chapels and the Junior School Leader’s prayer meeting. They are doing a fantastic job! All of our Junior School Leaders have been committed to praying for our school each week together with donuts adding to the event. Also in the Junior School the Girls Cru group has been meeting each Wednesday in the Music room to engage with some of those big faith and life questions, of course accompanied by amazing craft time. A big thanks to Annette, Emma, Vicky and Tracey for their fantastic leadership of our Year 5 and 6 girls. Boys Cru have been meeting in the brand new STEM room under Pete’s guidance and sharing faith issues in a more game-based format. Wednesday Cru groups are again proving to be very popular and fruitful. In our Senior School we now have a Cru Group that meets on a Monday lunchtime that has students from Years 7-10 in attendance. We have been following the Chapel program and incorporate games, lollies and lively discussions. 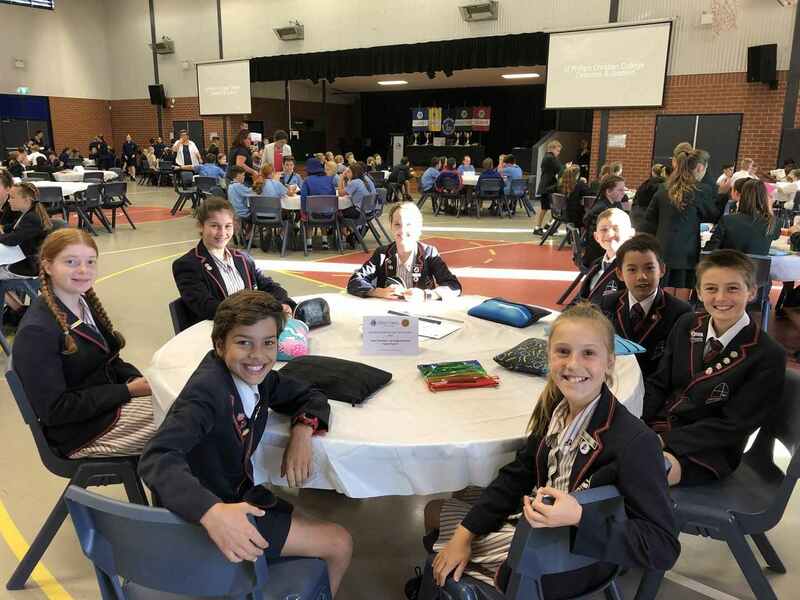 A number of the students involved in our Cru groups at school also attend 628Crew at Lakes Anglican on the first Sunday of every month as well as the 9:30am service each week at Lakes Anglican. Every Tuesday our school has a Playgroup in action in the hall called Playcrew. Pete helps our new co-ordinator Fiona with a symphony of little people and their parents and grandparents. It is an absolute delight to see these little ones engaging with each other and to have those conversations with the adults present. Morning tea is pretty awesome too! Pete and I have also been involved in lots of extra activities about the school as well in Term 1. Pete went along to the Year 6 Raw Challenge and was a facilitator at the Leadership Day held at Treetops. I co-ordinated the Year 12 Retreat with Mrs MacLarty and was able to pop up to the Year 7 camp on the final, very wet, day. Pete and I also have the joy of attending sport each week as well as hanging about in the playground playing handball or being on yard duty. Pete and I are also involved in the classroom teaching the Christian Studies curriculum to Years 5, 6 and 7. This year in Year 7 we are introducing assessments as we continue to develop the curriculum into the future. It was also a real joy for me to meet so many Year 7 parents at the two Parent/Teacher Interview evenings. Chapels have again been a highlight of our week and culminate in the two big services on the last day of term with Bishop Charlie as our guest of honour. Pete has the joy of being a part of the very special Grandparents’ Day activities too. For both of us the buzz of being at school and as part of our community here has been as strong as ever. We both feel a deep love for the students, staff and families of our school and when we meet each Monday we often will reflect on how wonderful each week is here at school. When we meet, we also pray for our school community. We want you to know how much we value our roles and the privilege it is to walk alongside so many precious people. We hope that you will have a blessed Easter and can make time to reflect on God’s great love through his son Jesus. May the school holidays bring joy, rest, family time and chocolate! We are looking forward to seeing you all in Term 2 which will be much shorter but no less brilliant. PS You may have heard that I announced to the Senior School that I was leaving for a plumb parish job. I announced this on the 1st of April. This was of course an April Fool’s joke and contrary to rumours I am not going to be a plumber nor am I leaving the school. I have waited for quite a few years to have the 1st of April land on a Monday for a joke to be made. I just hope the joke doesn’t backfire on me. 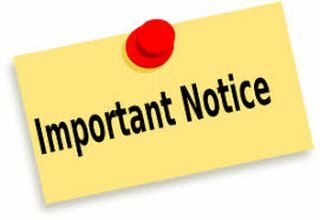 Junior School admin office will be open 9am to 12pm the first week and closed the second week. From Wednesday, 1 May to Tuesday, 25 June 2019 or while stock lasts, when your staff and parents shop at Woolworths they can collect Woolworths Earn & Learn Stickers from the checkout operator, via team members at the self-service checkout or through an online order and place them on a Woolworths Earn & Learn Sticker Sheet. There will be one Woolworths Earn & Learn Sticker for every $10 spent (excluding liquor, tobacco, and gift cards). Once completed, simply place the Sticker Sheet in the Collection Box, either at your school or at your local Woolworths. We can then redeem your Woolworths Earn & Learn Stickers for valuable education equipment for our school. Clara Gratton is Italian she is turning 17 years old in December this year. Clara is here from 16 June - 24 August 2019. I am calm, kind and a little shy. I have many hobbies: playing tennis, taking photos, hanging out with my friends and watching TV series. I really like animals, I have 4 cats and a really cute dog. I enjoy travelling that’s why I’m very excited to visit Australia, I think it is a beautiful country with nice people and so many different types of animals and plants. I’m kind of an introvert but if you get to know me better you’ll be very surprised to find I can be funny and hilarious. I am bilingual: my second language is German. I have been studying English for 10 years but I’m not very confident at speaking. I’m not into trekking, skiing and sport activities involving running. I love the sea. Unfortunately in the city where I live there is not the sea so I can’t go there so often but I would love to live near it. I help my parents with the housework, I iron, do the washing up and I keep my room tidy. I really enjoy cooking, especially Italian dishes. I can’t wait to get to know you and find out more about your culture and city. 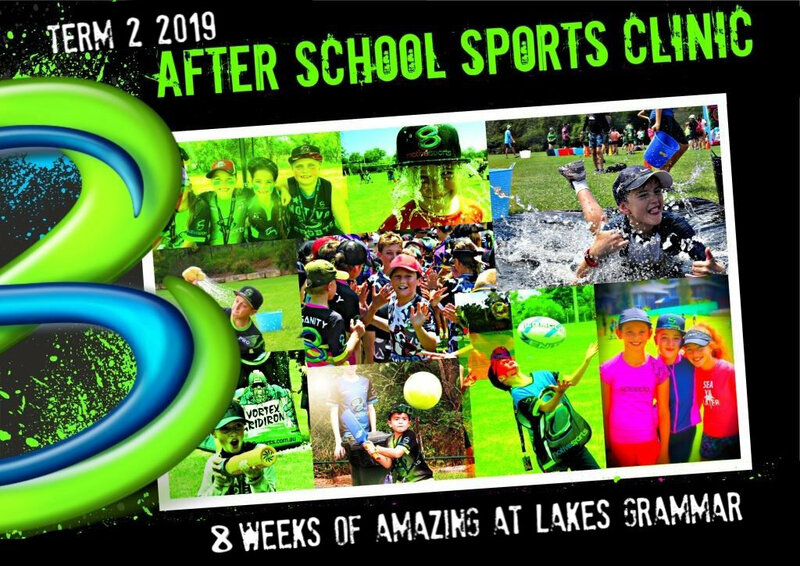 HOW TO BOOK: Visit https://motiv8sports.com.au/m8_event/term-2-2019-8-week-after-school-clinic-lakes-grammar/ to book using the online booking system or visit motiv8sports.com.au to find out more about Motiv8sports. ACTIVE KIDS REBATE: Motiv8sports are an Active Kids Rebate Provider. To redeem your voucher simply send your voucher number, child’s name and date of birth to motiv8thecentralcoast@gmail.com. Once verified Motiv8sports will send you a code to use on the payment page of the online booking system. You will receive a Motiv8sports snapback cap to take the value to over $100. If you have any questions on this program or need more information please call Motiv8sports Central Coast Director Ray Seers on 0424 951 175. 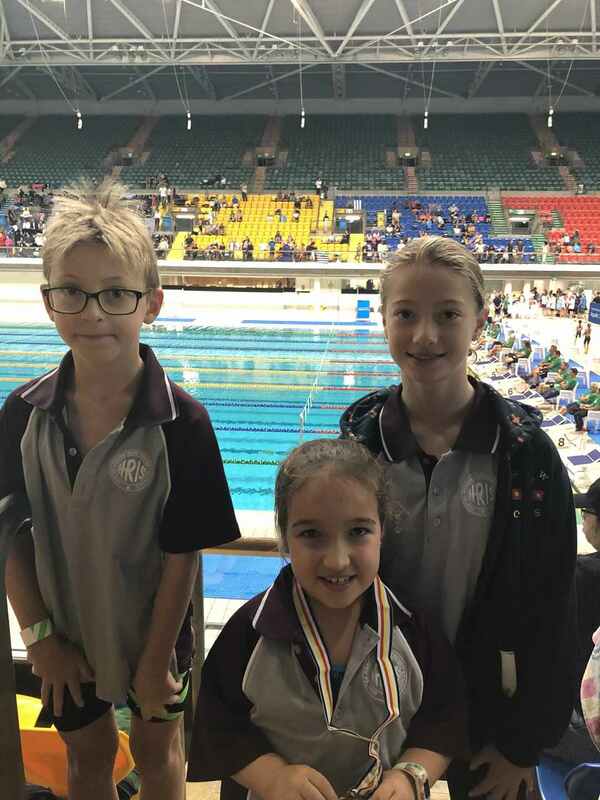 On Wednesday, 20 March a number of students attended the Primary CIS Swimming Carnival at the Sydney International Aquatic Centre in Homebush. The team consisted of Ben Ruzicka, Hannah Ruzicka, and Aaliyah Currie. All students competed in an outstanding way and gave their all against some very fierce competition. 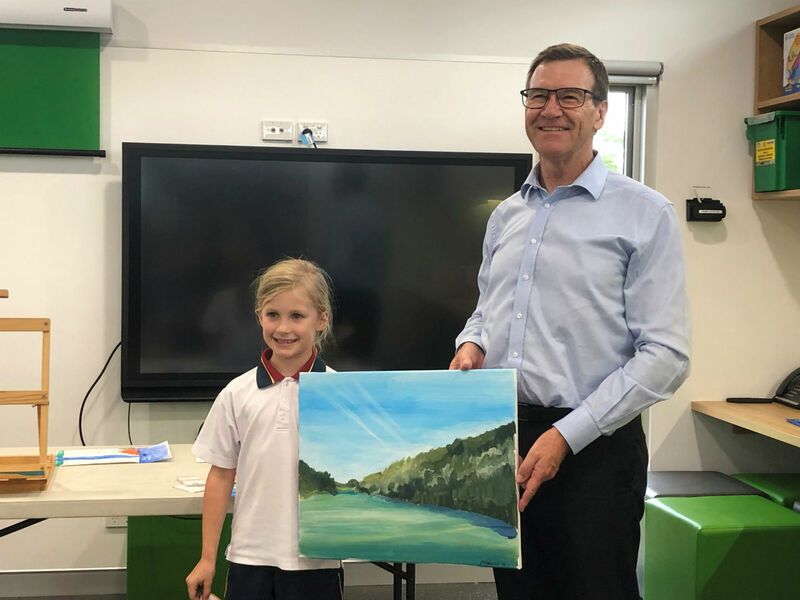 A special mention to Aaliyah Currie who won a silver medal and will compete at the NSWPSSA Carnival on Thursday, 11 April. Congratulations again to all students and thanks to all parents and relatives who attended and supported the team. A beautiful day was had on Friday, 22 March when we had our annual Lakes Grammar Cross Country Championships. Congratulations to all students who competed and parents for their support and encouragement. Just a reminder that full sports uniform must be worn on Tuesdays for sport i.e. hat, white sport shirt, white / coloured joggers (no fluro colours), school sport shorts and socks. It is strongly advisable to have a water bottle as well in the hot weather. Please note, if your child is selected for a HRIS team (such as Cross Country, swimming, etc. ), then they can purchase a polo HRIS shirt from the school. They are $33 each. Please see Mr Summers for more details. Aimee-Jane Strawbridge, Fox Smith and Tiah Vale all competed at the AICES Swimming Championships. Due to a late withdrawal Samantha Livingstone also gained a swim at these Championships and unfortunately our girls 4 x 50m relay team was unable to compete. All athletes swam very well in their races with Tiah and Fox both being selected in the AICES team to compete at the NSWCIS Championships early next term. Congratulations. Cross Country Training will continue on Thursday’s and we would love to see you there. Meet at 3:30pm at Warnervale cricket nets & HRIS Cross Country will be held at Avondale College on Friday 3rd May. Both our boy’s and girl’s teams have been training in preparation for Round 1. Training is on Wednesday lunch times. Boys basketball training is on during Thursday lunch times at the Senior School basketball courts. Both our Open boys and girls Football (soccer) teams have been selected and have began training for the HRIS Gala Day early next term. Mr Willmott and Mr Hurst are coaching these teams. Our school Futsal teams have been selected and girls training is happening during lunch times on Tuesdays with Mr Hurst and Mr Beecroft. School Netball teams have been selected. A 14’s, 16’s and Open girls’ teams have been selected and will compete at both the HRIS, AICES and Central Coast Allschools gala days next term.